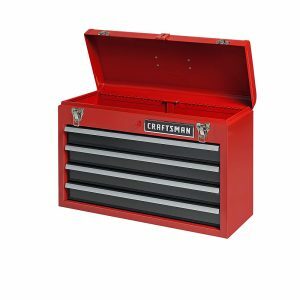 Sears has a Craftsman 4 Drawer Portable Tool Chest Sale on sale for $39.97, free local store pickup, Free Shipping $49. Get organized and Look like a pro with this long lasting tool storage cabinet system. Drawers hold up to 25lb, 3x1 casters support up to 300lb.